Before you start the day, take a look at the major events in the country that are likely to make headlines today. From Manohar Parrikar's last rites to full IPL schedule, here are some of the most important news events scheduled for today that will be keenly watched. A Delhi court is likely to pronounce on Monday its order on framing of charges in the Muzaffarpur shelter home sexual assault case in which 21 accused have been chargesheeted by the CBI. Several girls were allegedly raped and sexually abused at an NGO-run shelter home in Muzaffarpur, Bihar, and the issue had come to light following a report by the Tata Institute of Social Sciences (TISS). Global investment company Blackstone and realty firm Embassy will hit the capital market with the country's first real estate investment trust (REIT) to raise up to Rs 4,750 crore, while it has received Rs 876-crore commitment from strategic investors. A new BJP-led coalition government in Goa will be in place by Monday morning, party legislator Michael Lobo said. Union Minister for Road Transport and Highways Nitin Gadkari arrived in Goa in the early hours of Monday to forge a fresh alliance between the Bharatiya Janata Party (BJP) and legislators, who were part of a coalition government headed by Chief Minister Manohar Parrikar, who died on Sunday. The polling process to elect the next government begins on Monday with the Election Commission set to issue the notification for the first of the seven-phase Lok Sabha polls involving 91 seats spread over 20 states and union territories. The last rites of Goa chief minister Manohar Parrikar will be performed at Miramar on Monday evening. Parrikar, 63, died at his private residence at Dona Paula near the state capital on Sunday evening after a long illness. 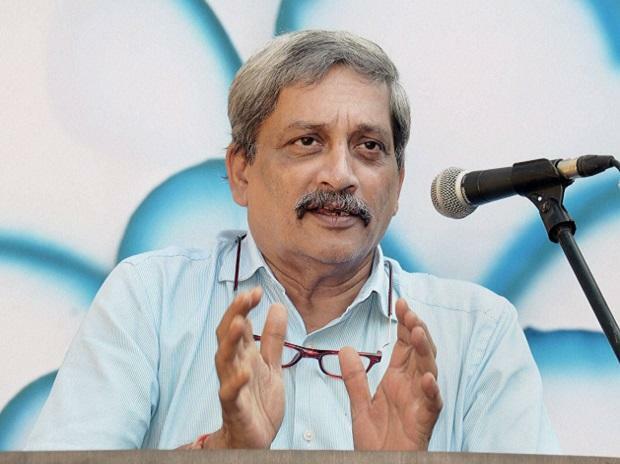 The Union Cabinet will meet today to condole the demise of Goa Chief Minister Manohar Parrikar. Cash-strapped IL&FS Group will receive first set of bids under the asset monetization process on Monday as part of the resolution process, according to sources. Seat sharing among constituents of the opposition "Mahagathbandhan" (grand alliance) in Bihar for Lok Sabha polls will be announced on Monday. With the 12th edition of the Indian Premier League (IPL) set to get underway in Chennai from March 23, the BCCI has released the schedule for only the first 17 games till April 5. The complete schedule is expected to be out on the sidelines of the Supreme Court-appointed Committee of Administrators (CoA) meeting in Mumbai today. Lyft Inc plans to launch the roadshow for its initial public offering during the week of March 18, making it the first U.S. ride-hailing company to debut in the stock market. NIA court to hear the 2007 Samjhauta Express blast case today. The blast in Samjhauta Express had occurred near Panipat in Haryana on February 18, 2007, when the train was on its way to Attari in Amritsar, the last railway station on the Indian side.